WAKÜ telescopic ladders are manufactured from high-quality materials with convincing attention to detail and are extremely easy to handle. Their tapering design ensures maximum stability in any application. Double ladder: height-adjustable, rung by rung. Single extending ladder: extends to almost four times its transport length. 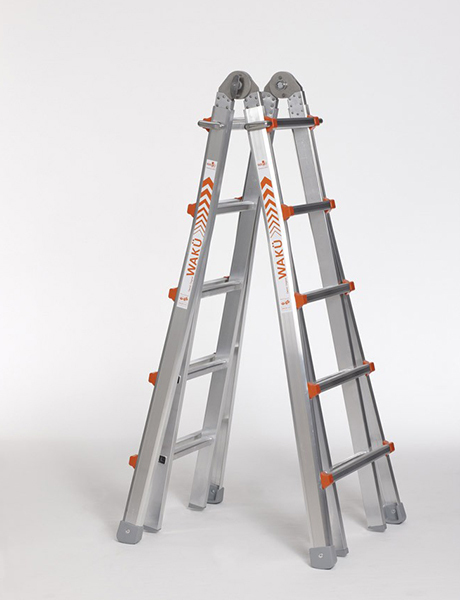 Step ladder: with adjustable offset to cope with height differences in stairwells and on gradients. Space-saving design for transport and storage.